Dipping my amateur toe back into sketching + using watercolors... 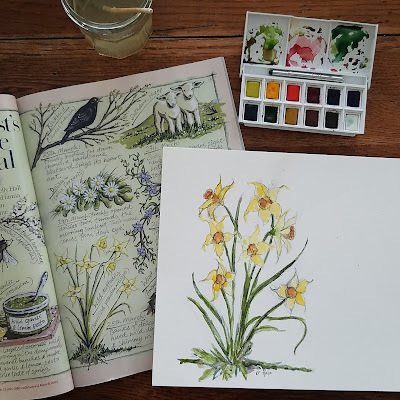 I was inspired by the newish nature journaling feature in Country Living UK magazine. It's so lovely, and such a good idea to develop your creativity.